As a mother of a pair of twins, my patients are usually quite curious how I managed to conceive with a pair of twins. Most of them thought that I have been through an IVF myself. However, the reality is that I did not need to do so. I came from a family blessed with many pairs of twins and there were even triplets (conceived naturally) in my family. Multiple pregnancies gene runs in my father’s family: My 5th & 6th uncles are twins, my 5th uncle went on having a pair of twin girls himself. My first uncle had triplets (conceived naturally) in addition to 6 other children he had (with just one wife, blessed). Nobody suspected that my aunt carried triplets until the second baby was born and the doctor found another baby in the womb. Of course we can’t criticize the doctors then because those days were the days before the advent of ultrasound scans and the use of ultrasound scans for pregnancy only came on 10-15 years later. My first aunt (my father’s only sister) have a pair of twin grand-daughters. If you search long and hard enough, and look thoroughly at my family tree, you will notice that my grandfather’s brothers and sisters are all blessed with twins in their family. If you take all these pairs of twins into consideration, you are talking about probably at least 10-15 pairs of twins in the lineage of my great-grandfather. How did it happened? We have no idea. We used to think that one would inherit the multiple pregnancy genes through maternal lineage. However, my father’s family had challenged the popular belief. My father used to think that it was the water or the soil around the area where they lived. However, I don’t live near the area where the family came from and I don’t believe that my brief stays of 1-2 weeks yearly as a child at my ancestor home would have contributed to the incidence. My aunt who delivered the triplets did not live around the ancestor home either. My interesting family history has pre-determined my destiny to be blessed with a pair of twins. And as I am blessed with a job of my dream to help to create babies in the field of Assisted Reproductive Medicine, my profile as a mother of twins has gradually become a fascination for my patients. I have had many e mails from patients directed to me asking whether I could help them to conceive with a pair of twins. I felt very privileged by their request but yet find this request daunting because even with all the Fertility Treatment which are available, there is still no guarantee that one could be pregnant with twins. The incidence of twins is 1:80 pregnancies if you let nature run its course. If a woman takes Fertility pills such as Clomid (Clomiphene citrate) to enhance their fertility, the chance of conceiving a pair of twins is estimated to be around 5-10% if she fall pregnant. If she undergo ovulation stimulation coupled with an intra-uterine insemination (IUI), the chance of her pregnant with a pair of twins is around 10-15%. If she undergo In-vitro Fertilization (IVF), her chance of getting a pair of twins is around 20% if she have had 2 embryos replaced into her womb. What patient needs to understand is that all Fertility Treatments increase the chance of having multiple pregnancies in different proportions but none will be able to guarantee the outcome. Having twins is not without its complications. I always like to warn patients but I am not sure whether this goes down well with them. These complications are real but yet we as clinicians find it hard to present it to patients simply because it is not so palatable. (2) Higher risk of early neonatal loss. The risk of death for premature babies around the week of birth is five times higher for twins and nine times higher for triplets than single babies. (4) Higher risk of babies having Cerebral Palsy. 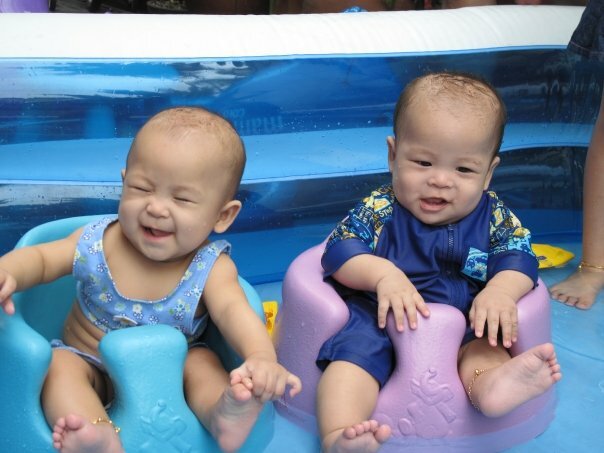 Twins are four times and triplets 18 times more likely to have cerebral palsy than single babies. (2) Childcare. Looking after a pair of twins who cried simultaneously, need feeding and changing simultaneously would drive a sane woman insane. So, before you ask me to help you to conceive with a pair of twins, would you consider reading this article beforehand? This entry was posted in Multiple Pregnancy and tagged Fertility Treatment, IVF, Twins. Bookmark the permalink.